A weekend of Mountain Biking FUN and racing for the WHOLE FAMILY on June 7,8, and 9 2019 at Falling Creek Park in beautiful Bedford Va.! Falling Creek Park has something for everyone, a MOUNTAIN BIKE PROGRESSION PARK with PUMP TRACK that is suitable for all levels of riders, for the kiddos a large PLAYGROUND, 18 HOLE DISC GOLF and a world-class SKATE PARK. FREE on site camping(race weekend only) and HOT SHOWERS! FREE to enter: Bunny hop contest, head to head down hill dual slalom races Saturday Evening! The Dirt Crit is only $5 per racer(on race day $3 online) and will be held at the Bike Park and will include at least one AWESOME downhill section and a gut buster of an uphill to separate the contenders from the pretenders. The “race” will be 30 minutes plus 1 lap for Expert, Sport, Clydesdale and Single Speed racers and 20 minutes for the “beginners”. Register for this race now! Saturday, June 8th 2019 at Falling Creek Park in Bedford, Va.
FREE on site camping Friday & Saturday night! The 2019 edition of this race will again be part of the Virginia Off Road Series. Please visit the VORS site for additional information about the series. The Fat 5 endurance race will start @ 8:30am and you’ll have 5 hours to begin and then complete as many laps as you can muster. If you make it in before the 4 hour and 30 minute cutoff you get to take on that extra lap that could determine the ultimate winner! The top three solo men and women will be awarded CASH* AND Virginia Off-road Series XCAT points are for the taking! Wanna save sumpin’ for Sunday? Do one of the DUO categories(you and a partner) so you can team up with your favorite riding pard’ner and race together. Please be sure to take advantage of free camping Friday night before the 8:30 am start. Don’t forget…as always post race food and refreshments will be provided for all racers. Packet Pick-up and race day registration Saturday morning 7:00-8:15 am. Race day registration fees are $40 for Solo racers and $60 for Duo teams. Race will begin promptly at 8:30 am. *OVER $500 CASH(Pre-paid VISA Cards) for top 3 in SOLO Male & Female!!!!! Duo top 3 teams get prizes! 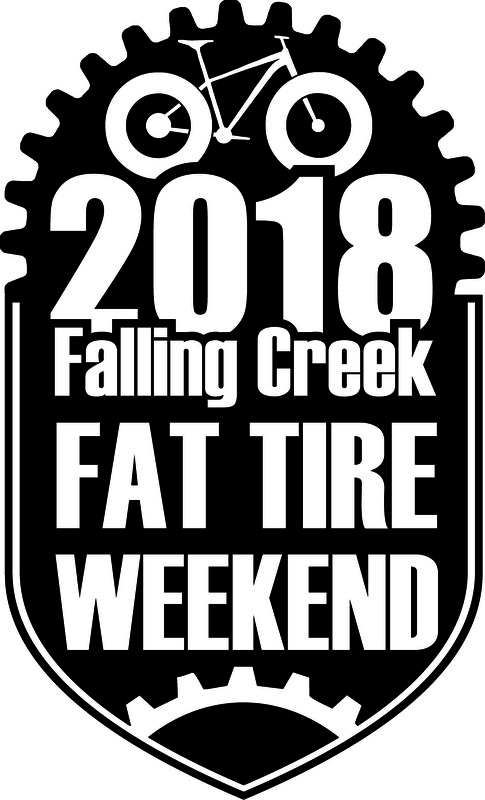 The 16th annual Fat Tire Frenzy presented by Centra Rehabilitation and Bedford County Parks & Recreation is Sunday, June 10th 2017 at Falling Creek Park in Bedford, Va. Once again this race will be part of the Virginia Off Road Series. Please visit the VORS site for additional information about the series. Adult categories for every level of rider from Pro/expert to the first time beginner racer! We also have Youth categories for the young guns looking for their 1st bike race or more seasoned young riders needing to get their shred on! Also, don’t forget to visit the Bike Park with a Pump Track, advanced, intermediate and beginner downhill runs, and optional trail features to hone your skills from beginning to advanced mountain bike riders. In addition to mountain biking Falling Creek Park has a large PLAYGROUND, an 27 hole DISC GOLF COURSE and SKATE PARK. As always, there will be refreshments during and after the race as well as a post race meal. 9:30 am Beginner Race Start-Packet pickup and race day registration 8:15-9:00ish am. 10:30 am All other categories race start-Packet pickup and race day registration 8:15-10:00 am. IMPORTANT RACE DAY INFORMATION HERE! CASH prizes for top 3 Male & Female Expert and Single Speed Categories!!! Course directions: Trailhead #1 Take Deer trail, then left on Piney Ridge to left on paved road then right and quick left on Beaver Dam, bear left on Pond Loop back to Beaver Dam, go across road onto Turkey Hill, stay straight into Sleepy Hollow, merge left onto Bluebird Path, cross bridge and bear left onto the Ledge trail, go right onto Slick Rock, merge left onto White Rock, stay on until left onto Slick Rock, go left onto Hill N Dell, merge left onto Raceway until it merges left onto Bluebird Path, take Bluebird Path straight until bear left onto Creekside then take a quick left onto Fat Albert, stay on Fat Albert until you take left on Ridge Loop, bear left onto Creekside until hard fast left across creek and enter Lower Deer up hill to left in grass around to Lower Pavillion. Its the 11th annual TNT Mountain bike race in Montvale, Va will be September 7th, 2019. This is one of the late season races in the Virginia Off Road Series(VORS) were points will be available. The course is 95+% single track that criss-crosses through old growth oak forests and is fast. Come out and experience Montvale’s hidden treasure trove of trails, you’ll have a great time…I guarantee it! Race starts at 10:30 am! *Race management reserves the right to combine and/or eliminate categories based on participation. No license required, anyone can race…what are you waiting for? Only 3 broken ribs. 4-6 weeks off the bike….bummer. Thanks for all your hard work and dedication to give us Mountain Junkies something to do on the weekends. You guys are awsome for organizing this series. See you in Montvale. Do I need a USA Cycling license for this event? Trying to decide between 2 and 3 loops…can you give an idea how hilly the course is? It’s an 8+ mile course with approximately 800′ of climbing per lap, no climb more than a couple minutes. Is there additional fee for day of registration? Thx! Yes, Add $5 on race day. Wondering where the results will be posted? Results were posted last Sunday. What type of camping is this? Campers or tents? I have a 33′ bumper pull. Primitive Camping. You are welcome to bring the camper, there is space but there is no water or electrical hook up. Will results from the 2016 weekend be posted soon? 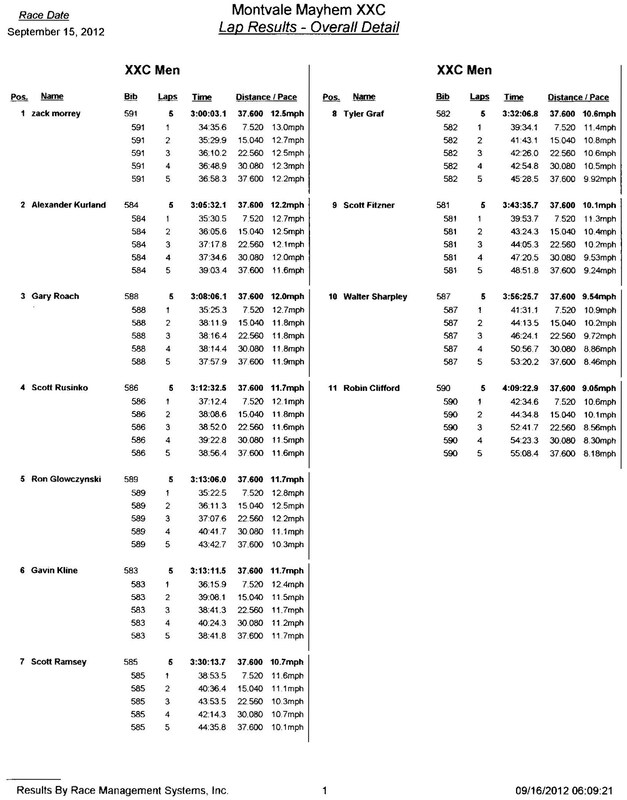 Hello – are the Fat Tire Races true “Fat Tires” or open to standard Mountain Bikes? All Tire sizes welcome. Most will be on regular Mountain Bike tires. They use to be called Fat Tires compared to Road “skinny” tires. Hope to see you out there!